You may select up to three options for those who own (or have owned) more than one Jazz. Jazz No1 (02-reg SE, purchased at five months old...owned from Oct '02 to Sep 06) was Mint Opal Green, Jazz No2 (56-reg SE owned from new) is silver. Ex-Jazz now Nissan Qashqai owner. I wanted Red, SWMBO wanted blue. So, Vivid Blue it is! My first jazz (mod2002) was a vivd blue but i had an accident. My second jazz (mod2006) is a nighthawk black. I acctually ordered a Nighthawk Black Pearl in october 2006, but in late december I got the notice from the dealer that the NBP car was delayed and had to wait 6 month before the car gets to Norway. But the dealer suggested other colors, and they had just got one Black Amethyst Pearl too the storage area south in Norway. 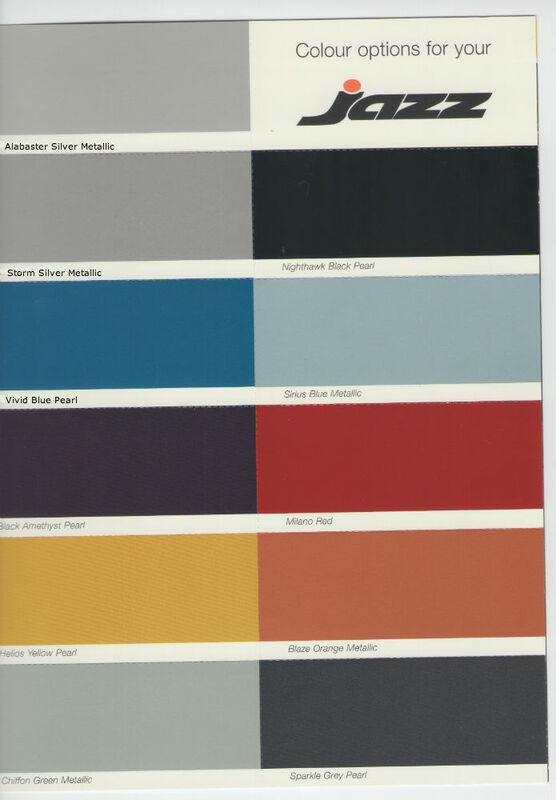 I got a few color samples that he had for ALL the Honda colors and the BAP looked good too.There was only Red, Blue and Silver colored cars left so I desided to go for the BAP. 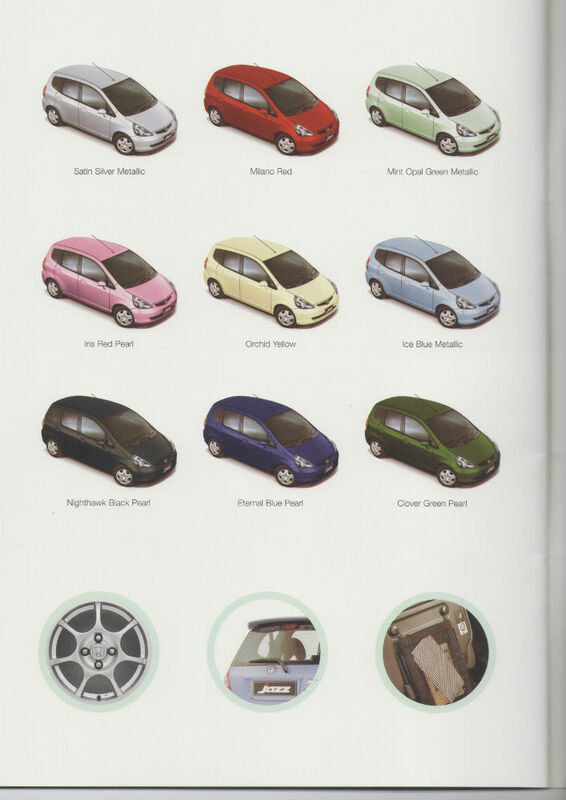 After I got the first glance at the car when it arrived late january 2007, I fell in love with that color. When the sun shine it has many colors from totaly black to sharp violet! In the dark it just look plain black. Honda Jazz 1.4L CVT '07 (GD1) in Black Amethyst Pearl. Sports styling; Front and rear bumper, skirt and roof spoiler. Foglights. Tinted windows. Pioneer AVIC-HD3BT. Mugen style grill. Tail gate garnish. Altezza tail lights. Momo FXL-One 17x7 Wheels with Cooper Zeon 2SXH 205/40R17 tires. 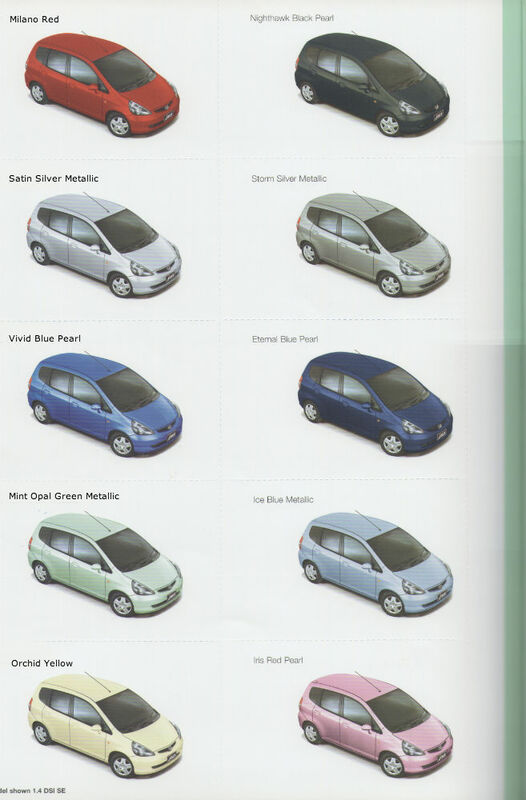 I wanted eternal blue for my jazz in 2007 but honda in their wisdom stopped making that colour available approx. 2004 onwards!!! These are my 2 cars that i own. Does anybody know the Honda name for this color? That would be Macha (spelling?) Cream metallic.